The feelings. They’re what I remember most when I remember Dennis Bergkamp. The feelings of wonder, with every billowing chip and defence-melting through ball. The feelings of reverence, with every deft touch and survey of the field. Watching him, you felt like you were watching football being redefined. The impossible wasn’t just possible, but it was simple and elegant too. He’s always been my favourite player. When I first started taking football seriously, he was my team’s greatest talent. I had no concept back then of the difficulties and drudgery of his early appearances in red and white. No knowledge of his toiling two-year stay at Inter, of the floundering spell that had seen his reputation and confidence hollowed. 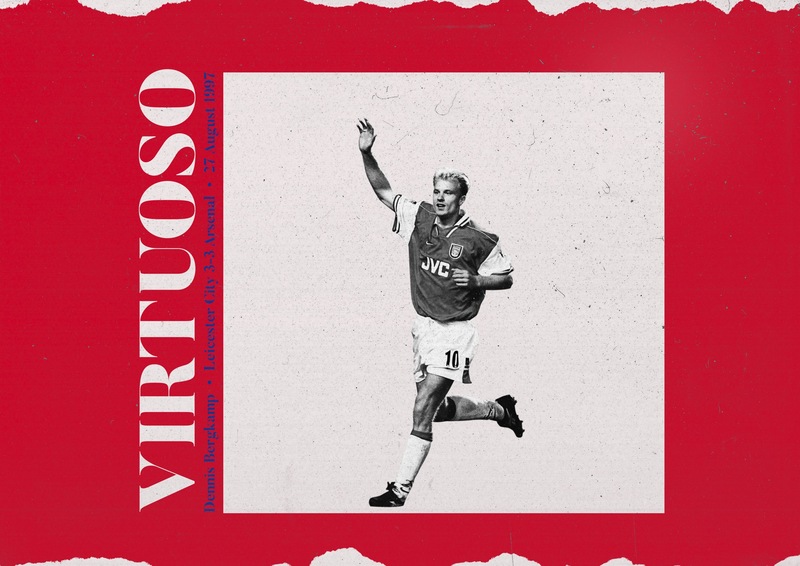 When Bruce Rioch first brought Bergkamp to Islington, it hadn’t been the jaw-dropping addition that I – knowing him only at his majestic, bristling best – might have expected. “When we signed Dennis we didn’t necessarily think he’d transform things,” admitted Ray Parlour to Charlie Eccleshare for The Telegraph last year. Until the 1997/98 season, Parlour had been right to reserve judgment. Rioch, the gnarling Scot who had succeeded George Graham as coach, had no control and no clue. His team selection and tactics played resolutely against Bergkamp’s strengths. To most, the Dutchman was a flimsy luxury in a league of trenches and spilled blood. When Arsenal visited Leicester on 27 August 1997, however, there had been signs of his settling down. He’d scored twice in the previous game against Southampton, and had been trusted to start alongside Ian Wright by the Gunners’ squirrelly new coach, Arsène Wenger. Leicester were enjoying their own revival, sailing through the divisions under the pogoing, curly-haired rancour of Martin O’Neill. The Foxes were jammed with tall, hewn athletes, square-jawed and grim in their muscular 3-5-2. Neil Lennon and Robbie Savage were ugly, but they were effective turrets ahead of Spencer Prior, Steve Walsh and Pontus Kåmark. It was a match tailor-made to deny Bergkamp’s talents; any whiff of that ‘continental’ style would surely be buried in a swarm of knees and studs. At least it would’ve been, had Emile Heskey not left him totally unmarked from a corner after nine minutes. Marc Overmars played a simple ball, Bergkamp dispatched a simple shot. A simple shot that sailed right into Kasey Keller’s top corner from 20-yards. 1-0. Leicester rallied, but a tight second half meant O’Neill remained rabid on the sidelines. On the hour mark, Patrick Vieira collected a loose ball on the right. His galloping legs announced a scene that would become devastatingly familiar to Arsenal’s opponents throughout much of the next decade; a lightning counter-attack saw the Frenchman exchange passes with Parlour, before prodding in-field to find Bergkamp unmarked. The Dutchman, with his permafrost temper and silenced swagger, scooped the ball over the onrushing Keller. 2-0. People always talk about Bergkamp’s technique, but they never talk about his bravery. The way he left Italy after those two stagnant years, with his talent and temperament being questioned. The way he moved to a club that had staggered around in mid-table the year before he arrived. 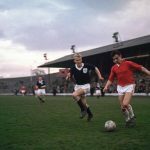 The way he imposed himself on the mud and roughnecks of English football, the way he grimaced and fought for his career during those dark early months. This game would mark his arrival. The moment when everybody remembered precisely why Johan Cruyff had given him an Ajax debut at just 17. “They don’t know what a lost cause is!” roared Clive Tyldesley, as Leicester launched an unlikely fightback. 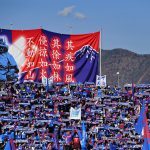 Heskey had scored first, bundling in from a corner, and it looked for all the world like the home side would secure a point after Matt Elliot’s deflected leveller in stoppage-time. But that was before David Platt delivered a perfect ball into the box. That was before Bergkamp killed the ball dead with his first touch, sending Elliot for lunch with a drag-back for his second. That was before the moment’s calm, the steadying of the aim, the curving of the unstoppable shot into the other top corner. It didn’t matter that Leicester scored again. Nobody remembers the 3-3 draw, but everybody remembers the goal. The awe and simmering glory of it. The audacity. The brilliance. It wasn’t just Bergkamp’s arrival on the English stage – it was Arsenal’s too. From then on, there was only one thing more predictable than their being crowned the champions come May; it was that ridiculous strike being voted Goal of the Season. “It was one of those occasions when everything went exactly as I had planned it in the second before it happened,” Bergkamp told The Independent upon his retirement. “The movement, the control, the finish.” The movement. The control. The finish. The goals. The trophies. The feelings. That’s what I remember when I remember Dennis Bergkamp. That night in Leicester, when a legend was born.